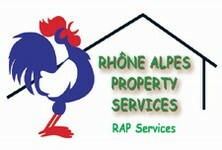 Rhône-Alpes Property (RAP) Services was started five years ago by Elise Pidolot-Raybaud. Elise is in a unique position, offering a premium service to British property seekers in the Rhône-Alpes. With a British mother and a French father, she was born in the town of Grasse, in the sunny French Riviera. Fluently bi-lingual, Elise is also a qualified lawyer in both British and French law. Her deep understanding of the languages, cultures and legal intricacies of both countries give her an unrivalled ability to help with all aspects of the property business. What's more, she really knows and loves her area. You couldn't be in better hands! Elise knows that many British buyers find the process of buying property in France complex and stressful. But as she can explain exactly what's required at every stage, that stress just melts away like the Alpine snows in summer. In addition to her legal and linguistic expertise, Elise has a family background in property development and restoration. So when it comes to renovating that newly purchased dream home, she has the knowledge and the contacts at her fingertips. The south-east of France is Elise's birthplace and the region in which she spent a happy childhood, so it's not surprising she loves it. Born in Grasse, then raised in Cannes, Elise says she loves and craves the warmth, colour and sunshine found there. She later moved to the mountainous regions of the Rhône-Alpes to be with her husband and proceeded to fall in love with the fresh air and beauty of the mountains. Other than for a few years at university in England, Elise has spent a lifetime getting to know this region and its people. She knows why so many overseas buyers dream of owning property here, and derives huge satisfaction from helping them to find the perfect place. Elise is also very clear that her clients' needs are as diverse as the region. From the sun-soaked lavender fields of the Drôme to the soaring, snowy peaks of the mountains, there is a place for everyone. Unless, of course, you'd prefer the bustle and cosmopolitan atmosphere of the lovely city of Lyon? Well, that's possible too! RAP Services believes in tailoring its service to the individual client. So, Elise goes in search of properties that really fit her clients' specifications. There's no wasted time trailing round unsuitable properties on those precious viewing trips. Elise also offers her specialised service to vendors. If you're selling your property through RAP Services she will work with you to produce the best possible package to ensure success. Sale gone through but still need help? No problem! Elise's experience has taught her that not all the problems are over when the sale has gone through. In fact, Elise has continued to advise clients for years after the sale in some cases! So, whether it's help with finding renovation experts, local craftsmen, sourcing quality materials or needing translation services, she's on hand to help. It's that personal touch that makes all the difference and makes you feel like you've found a new, very knowledgeable friend. How can RAP Services help you? "How can I help you?" are words Elise is well used to saying, and the answers are more wide ranging than you might expect. In the course of running her business she has arranged rubbish disposals, reset alarm systems, solved power cut crises, reinstated water supplies - and even become a cleaner for a day! A client who rented her property out found herself let down by her regular cleaner just before new tenants were due to arrive, so Elise stepped in and did the job. Now, how many people can say their cleaner is a highly qualified lawyer? As for Elise, she says it's all just part of the service, letting people know she cares. Elise knows that effective advertising is the key to success. She chooses to advertise with French Property Links (FPL) for various reasons, the first being that she likes the simple and well-constructed website. She can advertise as many properties as she likes, adding plenty of photos and the detail that buyers want. The reasonable cost of advertising is attractive, the service helpful and friendly, and, most important of all, the leads are excellent. RAP Services and FPL continue to work together to help buyers and sellers get the best from the property of south-east France.